Welcome to the big league Ladies and Gentleman, it is that time of year again and by that I mean its the return to America`s favourite past time, Baseball. 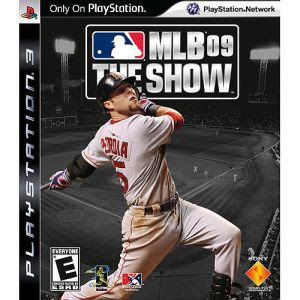 Along with the grapefruit league you`ll find Sony`s latest installment of the Majors, MLB 09: The Show. The visuals on this game are simply superb, Stadiums so real you can easily imagine you are sitting next to the guy with the body odor sitting at behind the plate. Player profiles and in play graphics that would rival the best of TSN’s game producers, real time instant replays and in-game player stats. Both the PSP and PS2 versions of this game offer fantastic visuals, even on the 2.5″ screen nothing is lost visually. With so many options your going to find more value in this game then you can shake a bat at… (rim shot). This game brings a little something for everyone offering six different game play options; ranging from the quick play Exhibition game, Manager Mode – an Armchair Coaches dream, Rivalry Mode, Franchise Mode – manage everything from concessions to the roster, to a full 162 games in Season Mode. But it doesn’t stop there… If you think you got what it takes “The Road to the show” is for you, build a custom player, make the team at spring training and set your sites on the Pennant. Spending most of my review time in the exhibition and manager modes, where after several full games, I`m still trying to get the much needed finesse of the pitching and batting controls down, the AI never seems to have an issue knowing what your going to throw or what your likely to swing at. Finding the right pitch, while keeping them in the strike zone but not in the batters sweet spot, or alternatively connecting at just the right time while watching that fastball buzz on bye. It is not as easy as you would think. Controlling runners on the base is easy enough – tell them to take the big lead and steal the next base or prep them for the sacrifice bunt to move into scoring position. Community Center – Mail and message boards, and Sliders (user generated game settings). Be prepared for long gaming sessions when firing up MLB ’09: The Show, as these virtual games can take just as long as the real thing. I can honestly say I have enjoyed my time and I look forward to the many hours in the future. The seventh inning stretch is coming to and end and it’s time to get back in the game. I’ll see you at the ball park.